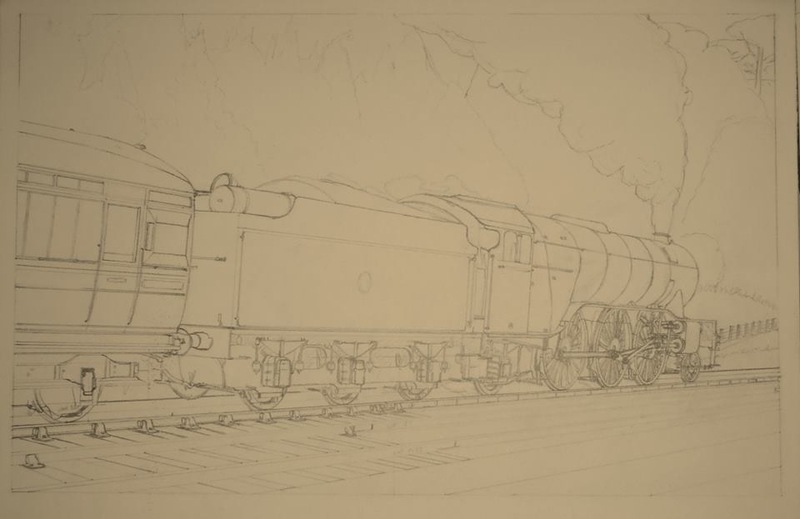 My friend Iain MacIntosh is working on another of his excellent pencil drawings. This one, like the last is of a Gresley V2 class, but this time on a Waverley Route passenger working. Iain’s work goes from strength to strength and this looks like being even better than his previous production. Whilst Iain hasn’t confirmed this as yet I believe he is planning a limited run of prints of the drawing in the future. I will post further information when it’s available. Meanwhile I thought you should share a sneak preview of what is promising another beautiful piece of artwork.